Chefs Club is an innovative restaurant that features renowned and up-and-coming chefs - giving them a platform to showcase their creativity for extended periods of time. On any given day, the chef-in-residence can be seen working in full view of the guests, in our Rockwell-designed open kitchen. Our next chef-in-residence will be Chef Jeremiah Langhorne, chef and co-owner of The Dabney in Washington, D.C.’s Shaw neighborhood. 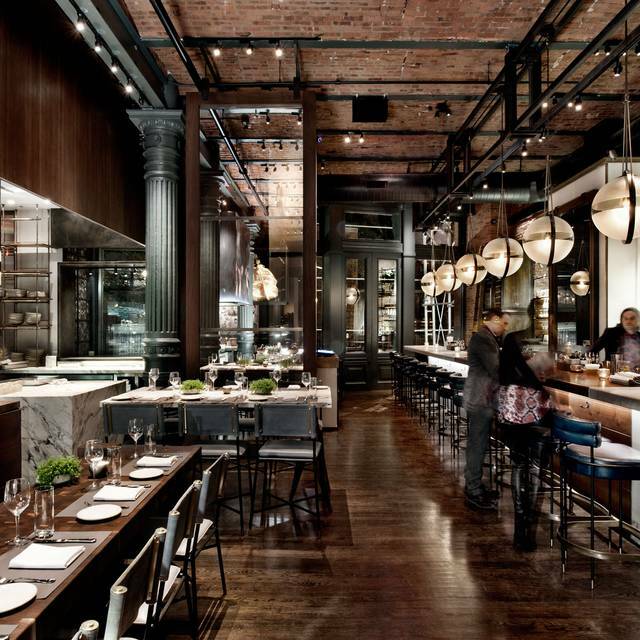 His residency, Chefs Club Presents: The Dabney NYC, will begin on January 12th and run through the end of March. After five years as Chef de Cuisine under Sean Brock at McCrady’s in Charleston and a formative apprenticeship at Noma in Copenhagen, the Virginia native’s first solo project is an exploration of Mid-Atlantic Cuisine and has received a prestigious Michelin star each year since opening. Langhorne scours the Chesapeake Bay and its surroundings for the best produce, and cooks with a keen sense of respect for the area’s rich history. Please note! We will be closed on Monday, January 1st - Thursday, January 11th, to gear up for our next Chef-in-Residence, Jeremiah Langhorne of The Dabney in Washington D.C. Book your reservations for January 12th through the end of March now! Whether celebrating a special occasion with family and friends or hosting a corporate event, Chefs Club can accommodate all your special event needs. Food excellent, service excellent, music volume a bit to high but it seems normal in US while we’ve experienced this in all restaurants in NYC. 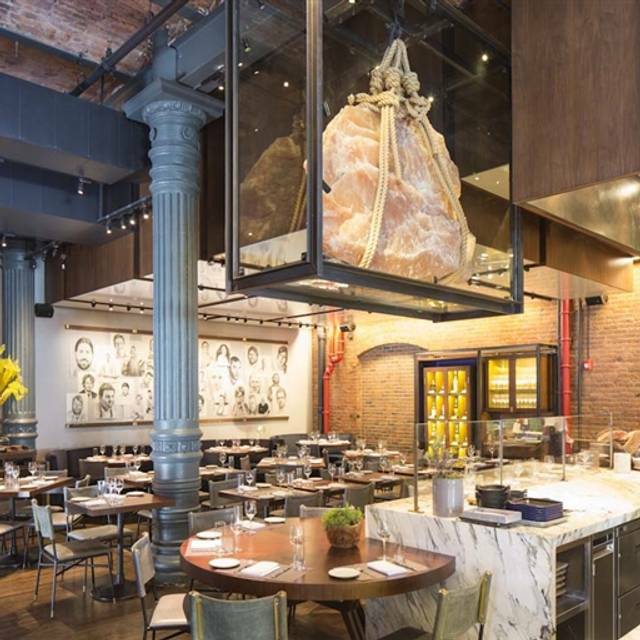 Chef's Club is an interesting concept for a restaurant - rotating renowned chefs through an open kitchen that allows diners to get a live glimpse into the orchestrated magic of food preparation. The food was the star of the show (thank you Chef JJ Johnson), blending Asian and African flavors to create truly delicious and flavorful bites. Ambiance and service were both fantastic. Amazing. Chef JJ has skills. Everything was fresh, and the spicing was unique, unexpected and simply delightful. Cant wait for our experience with Chef JJ masterful cooking skills. Chef JJ put out some really delicious food and was a gracious host. Great evening! The food, especially that giant rib, made up for poor service. The poor service was late seating (45min after reservation time) and upselling (expensive wine bottles should be requested not pushed). That being said, the space is gorgeous and the food is great with clear potential for greatness, so I'll go back. Interesting food, but too noisy. The concept of the restaurant is great. 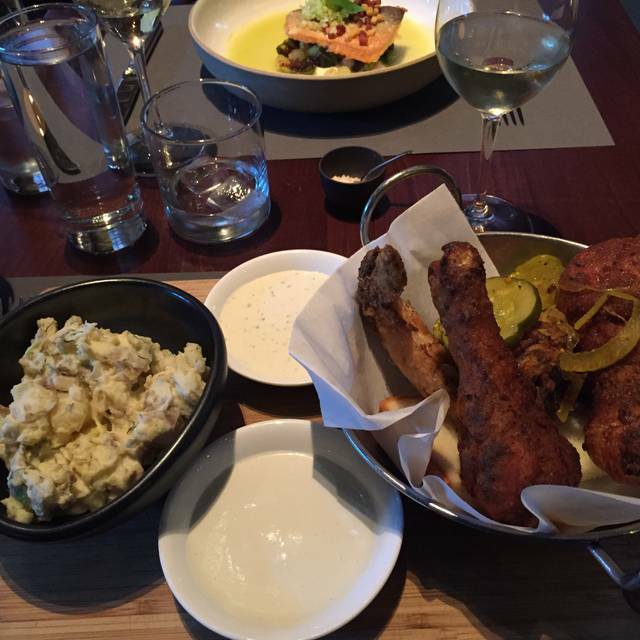 We enjoyed JJ Johnson's cooking at The Cecil and it was good to be able to taste it again. Since the chef changes it is hard to say what is coming in the future and whether the cooking will be as inventive, flavorful and memorable. It would be great if they could let you know a month or more in advance who the chef is, so that appropriate plans can be made. Great vibe here! 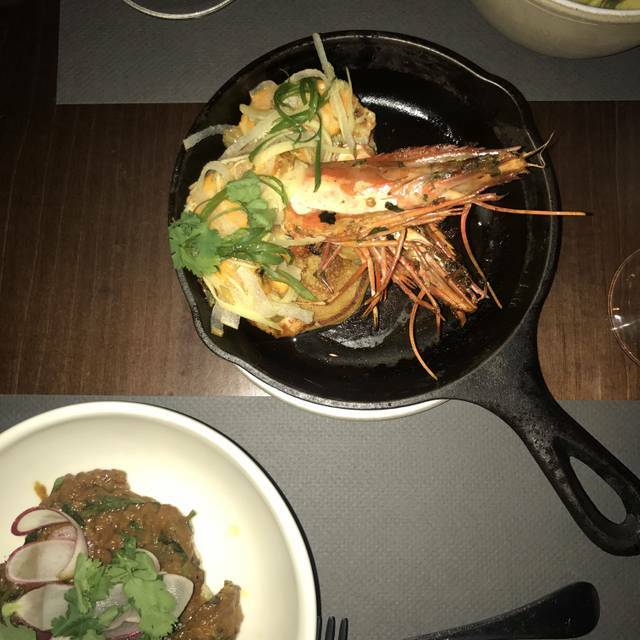 Amazing food and cocktails! Will definitely be back!! The food and ambiance were equally good. Chef JJ did a great job on the menu. We tired about 7 items from the menu and they were all delicious! The most innovative cuisine I’ve eaten in a long time. Guest chef in residence JJ Johnson has fused African flavors with Asian flavors to create a unique menu that shines. Some of the best food in Manhattan! We had a great mean there - awesome concept, the spaces hosts different chefs from all over the country. Current resident Chef Jj’s Food is tasty and creative. He came out and hung out at the table with us for a while too! Great guy and amazing food, what’s not to like! Loved it. We were lucky enough to sit at the Chef’s table and watch the action. JJ and his Team were charming. Loved the food, ambience and the music!! If you are in NYC you should go. Collard green salad was bland. I’ve had it before at Cecil’s we’re JJ used to chef and it was great. That’s why I ordered it at chefs club and not good. Enjoyed the Cornmeal- Sea Bass however my friend told waitress to elimate the peanuts however it was in the fish which she couldn’t eat. You gave us another fish but the crust / fish tasted different. 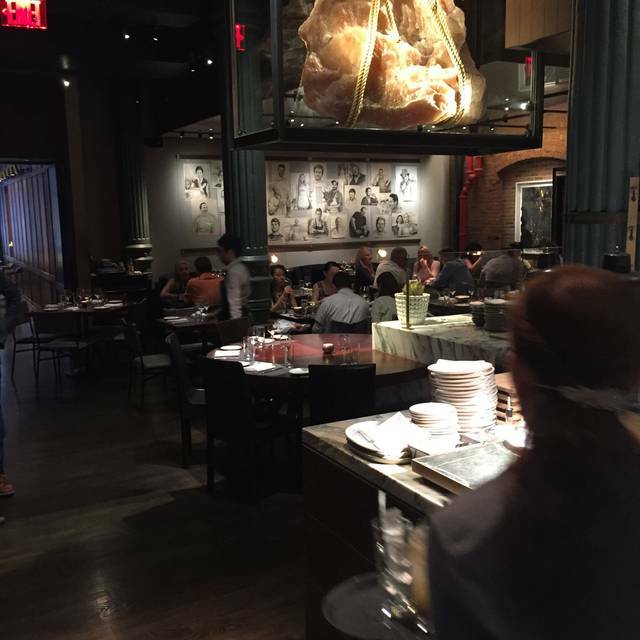 Great food, but service was below expectation and the space is uninviting. The dining room is noisy and crowded. Service is awkward - since servers must constantly reach across the table - and a bit chaotic - twice we had to ask for wine to be poured. The restaurant either doesn't have a cloak room, or didn't offer it to us, so our coats hung on the back of our chairs and onto the floor. It was great to be able to eat JJ Johnson's food again; we look forward to his next kitchen. Food was great. Drinks were good. Service was mediocre to poor. Music was FAR too loud and strange - got better around 9p. Beautiful table. I discovered the Chefs Club while researching the reason for the menu change at The Cecil in Harlem. When I learned that Chef JJ Johnson had left The Cecil and was in residency at the Chefs Club, I immediately made a reservation! The servers were responsive. The cocktails were inventive and delicious, including my non-alcoholic Pear Spritz. From appetizers to entree, the meal - oxtail dumplings - collard green salad - bass for two - was glorious and satisfying. I look forward to the next visit! VEry interesting restaurant and ate at table just off kitchen. It was worth the experience but the food was so so. The whole fish was not well prepared. The dumplings were excellent. At 9:30 on a Saturday night, it was only about 40% full. I think that it is overrated. Chef JJ Johnson’s residency at Chef’s Club really is a treat! Loved every thing about our experience from start to finish. Great menu! Great cocktails! Great music! Service was a tad bit slow but we weren’t in rush so it worked out. Overall, A job well done all around! Had a great time here! We were seated right in front of the open kitchen which was awesome! Chef JJ Johnson did his thing. Food was great. Wanted everything on the menu. Friendly service. I will be back! Excellent food, service and ambiance. I highly recommend visiting while Chef JJ is there. Our bartender (Francis) was the only highlight of our experience. A true professional, in that she made great drinks and was very welcoming and gracious. As for the rest of the night: we were seated 40 mins after our reservation (hostesses never checked up with us at the bar with updates), waitress was extremely slow and disinterested. The food...tuna tartare was solid (though baby portions), beet salad was decent and the short rib for two was essentially 2 ribs over cooked with gristle and fat (for $85). Was looking forward to to it given that we were big fans of JJ’s when he was at the Cecil. Based on this experience, no need to return....however, thank you Francis for making it tolerable. It was a really nice date that included both the chef and the general manager visiting our table to welcome us. The food and many layers and clearly told a story. The general manager was on the front line of serving and greeting and made diners feel like regulars. 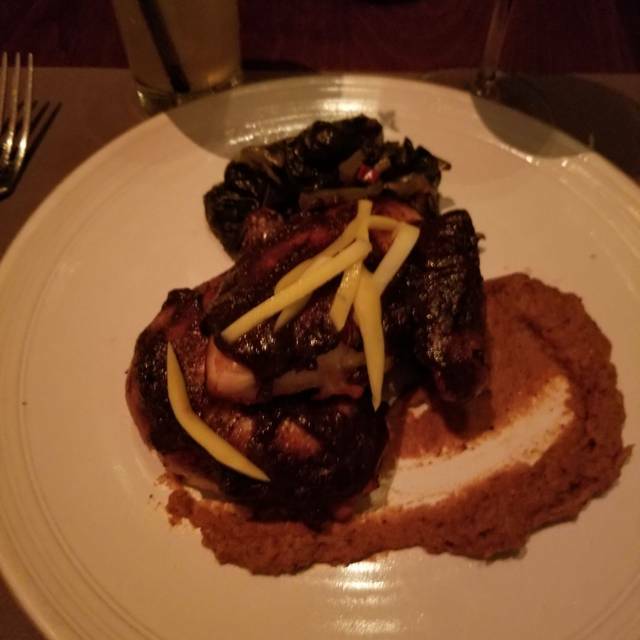 I can't say enough about my experience at Chef's Club! The ambiance, the food--everything was a sheer delight!!! My daughter and I went on a recommendation from her surgeon (long story) and it did not disappoint!!! The location is ideal--close to public transportation. High end service with a cozy feel. Chef J.J. Johnson's cuisine was outstanding!! You have set the bar high!! A return visit is a necessity! Amazing food, great Chef ( Chef JJ ), and very welcoming staff! I would totally recommend. Music was above a tolerable level to enjoy the food and conversation. Food was delicious and service was great. I thought the portions were a bit small for the price, but overall very good experience. As always, a great place for dinner. 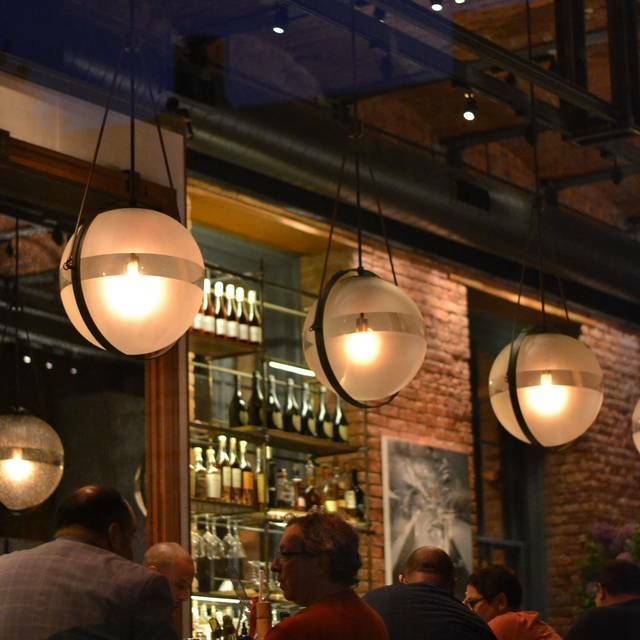 Atmosphere is great and food is even better. One of our faves! 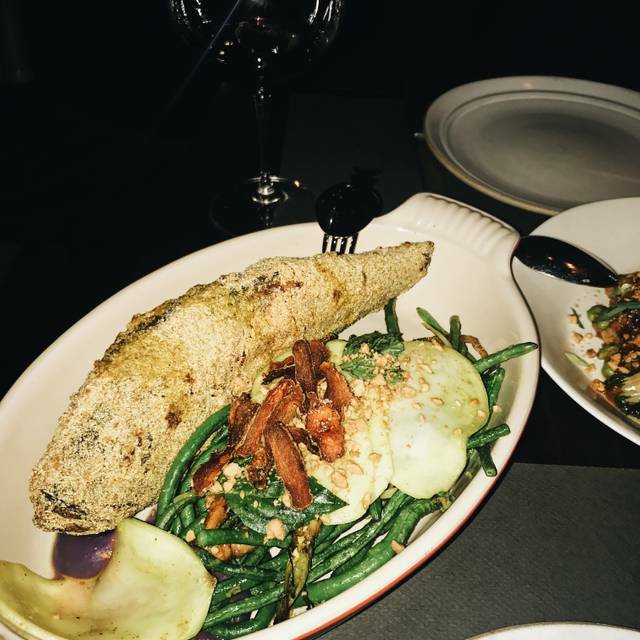 Was very disappointed with the cornmeal crusted seabass. Decided to get it filleted in order to eliminate the hassle of removing the bones during the meal. What we ended up with was essentially a very expensive "fish and chips". It was fine, but rather disappointing as I've eaten at Chef's Club in the past and have had a wonderful experience. I suppose this particular chef's menu was just not my cuisine style. Let's start with the music (though a bit too loud at times). The playlist channeled some of Chef JJ's roots and made the experience all the more enjoyable. Food was thoughtfully created and delicious! Chef JJ at the Chef/‘s Club was such a refreshing experience. 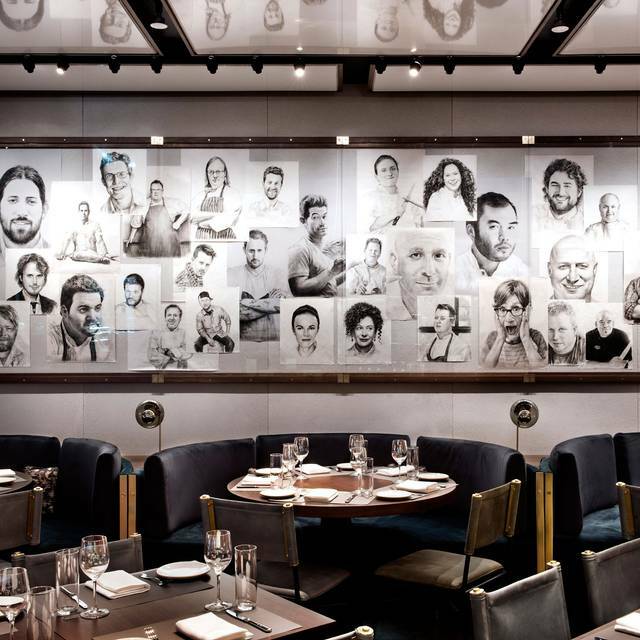 His take on dining from his days at The Cecil are showcased here in a new way. My friends and I️ thoroughly enjoyed our experience! Chef: JJ Johnson of Cecil's in Harlem. Lamb suya (satay) was well done. Should have used cubes for juicier taste. Roti , dumplings and sticky rice were very good. Entrees - jerk chicken and cod - were salty. Scallops were a tad overcooked and crispy pork was so salty it wasn't eaten. Tres leches chocolate cake consisted of tiny, tiny yellow cake squares with a milk chocolate sauce - simpler would have been better. Chef JJ did a great job with the food. We really enjoyed it. Our somelier was also very pleasant. Overall it was a great experience. the Lamb, dumplings and Roti apps to the Cod with crab or scallop entrees were fantastic. Others raved about the Jerk chicken and whole fish as well. The music was also a special treat, probably best playlist I’ve heard in a longtime (90’s hip hop and RB). The appetizers were the best part, while the entrees were far too salty, and didn't have sides to offset that, such as rice, etc.